To keep our conversation about the future going, we’re expanding on the topic of video content. In the latest infographic, we mentioned that video content is expected to make 90% of all the content on the Internet by 2019. This means that you should start developing a video content strategy right now to satisfy your users’ current and future needs for video content. What’s more, videos, lined up with other content types, can be a supplementary tool to your marketing strategy. We can see some truly powerful examples of video content used by all kinds of companies at different stages of the consumer journey. Your task, as a marketer, is to make sure customers can find support and help as they are moving through the marketing funnel. This time we’ll split the funnel very generally, leaving three main stages: awareness, consideration and decision. At every stage, you can benefit from video content and let it accompany your users to make sure they get where they want to be. 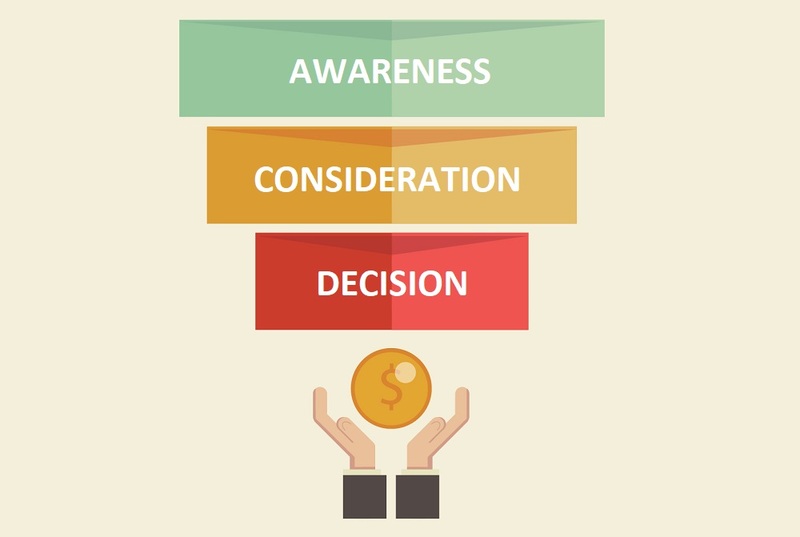 The content you’re creating for the awareness stage shouldn’t scream “BUY!” to the users. Instead, it should be cool, funny, and, at the same time, educational. Talk to people, tell about your brand, but don’t make up people’s mind for them. Educational are a great thing to start with. They prove you’ve got something valuable to offer to your customers, and can gladly share the information. What’s more, educational videos demonstrate your knowledge and experience if the field, which users will recollect when they are ready to move further and make a purchase with you. Whiteboard Friday videos by MOZ are an amazing example of educational content. You may remember from the case study on content marketing Adsy performed, that MOZ is a company providing SEO services and software. Documentaries are also a way to educate prospects about your field of business. They tell a bit bigger story and present it through several pairs of eyes. Like this one by Google. You know Google, right? Well, the following video is a short documentary for Google and NASA’s joint project - Quantum Artificial Intelligence Lab. Notice how elaborate the information is in those 6 minutes (though 6 minutes is an eternity for the 2017 videos; this video is actually 4 years old). Brand videos are huuuge! Youtube has got so many wonderful examples of brand videos that make you laugh and google the firm at the same time. This type of video presents a unique opportunity for brands to tell about their work and lay the foundation for trusting relations with customers. It can also be the first attempt to show the values the company has. The winner of the 2015 Shorty Award for Best in B2B - the video by Dissolve - is a very touching and telling example. It’s a story in the first place. But, of course, it’s an ad, and its initial goal was to advertise the company. You see, there’s no need to explicitly convince people to buy from you all the time. Instead, become a storyteller and share what you believe in. Another amazing example of branded video is made by Apple. Intriguing, motivating, and inspiring, - it doesn’t say anything about any of the company’s products, conveying emotions only. Now, when your target audience already knows that you may have the solution to their problems, they are eager to find out more about what exactly you do. For you it’s a chance to drive them to the bottom of the funnel - to the decision stage. Tell a bit more about your product or service, its strong sides, demonstrate the results others have achieved with it, in other words, assist your potential clients and get them on your side. Let their search for the solution end here, with you. Product videos at this stage can be promotional, however, the best examples we see are usually more informational or educational. Let’s take another video by Google, this time it’s an explanatory video of how Google Translate operates. This animation doesn’t go, of course, in the depth of the code Google uses or any other complicated stuff. What it’s supposed to do is get users acquainted with the service they might want to use. All in all, product videos are the biggest piece of video content produced by companies. Every time a new product is launched (especially if we’re talking about technologies), there’s usually a video describing the product and its main features. That iPhone X or Samsung QLED TV ads you’ve seen recently all belong to this video type. What’s the best way to convince people to buy a particular product or get services of a particular company? Let them talk to someone, who’s already benefiting from them. What’s the best way to convey this message? Use case studies or success stories. Salesforce, a CRM platform, has a whole playlist of videos where the most popular brands share their experience after using the system. Amazon, Coca-Cola, Shazam, Western Union - if they don’t convince you, then who will? Your potential customers are two steps from pressing the “buy” button. Now just take their hand and show that it’s a perfect choice they are making. FAQs and all types of instructional video content will make sure your prospects learn all the details about your product and have all their questions answered. It’s also reassuring for them to know that there’s a place to go to if they run into difficulties while using the product. IKEA demonstrates a high level of consideration, providing how-to videos for its furniture. Each of us has been in that IKEA-situation, when you bring that so-simple-to-assemble coffee table and have no single idea how to make it stand. Or at least put it together so that it would slightly resemble a table. Thanks to the videos the company provides, you get a chance to feel less baffled and embarrassed. Whew, that’s a relief. As you can see, even though the peak of video content is still ahead of us, a concise strategy can work for your business' benefit right now, attracting and helping your potential and existing customers. Video creation can be quite costly in many ways, but the bright side is that you don’t need to rack your brains - the basics are just the same as for any other content creation. You place your users first, entertain, educate them by telling stories, and slowly but surely, put the idea “this is what you need” in their heads.